Uncovering your ancient origins and connecting with unknown genetic relatives is an experience you are not likely to forget. That is why it is important to choose the best company for the job. MyHeritage and 23andMe both offer cutting-edge ancestry DNA testing options, but they are very different companies. 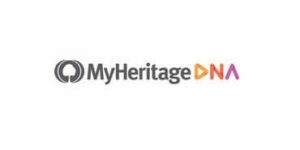 MyHeritage is dedicated to complementing your final report with billions of genealogical records that can help you learn more about your history and ancestors by actually reading about them, viewing their old photos, reading their personal stories, and more. 23andMe, on the other hand, also offers health reports, which can indicate your genetic predispositions for certain diseases and conditions. Ultimately, the right choice depends solely on your personal needs and expectations - and our exhaustive MyHeritage vs. 23andMe comparison can help you define them by outlining all the benefits and shortcomings of both companies.